Research shows that both rounds will "stay supersonic longer, have less wind drift and better terminal performance than 7.62 mm ammunition," SOCOM officials said. He didn't provide a specific date or timeline for when the new rifle would be in operators' hands but said they would have a better idea regarding the caliber later this year. "We're purely in the exploratory phase," Hauquitz said. "We're trying to see if we can take a weapon that is 7.62 and give it greater range, accuracy and lethality." 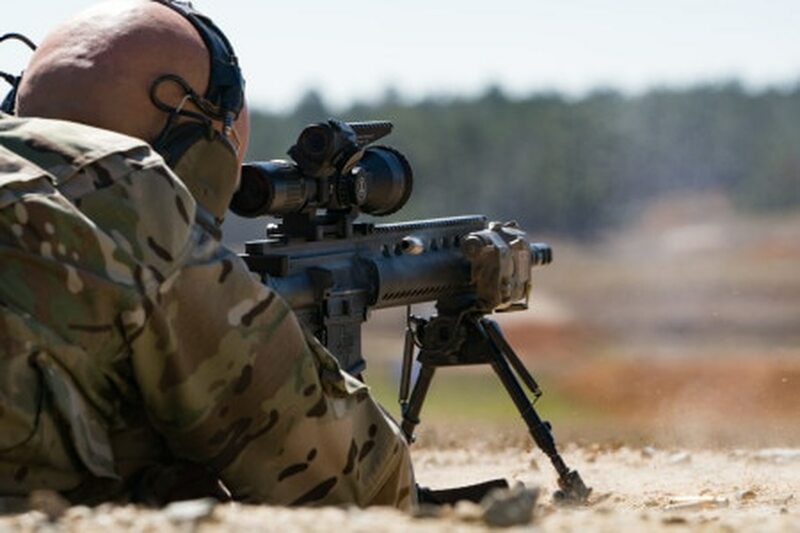 Last year, the Army chose the smaller Heckler & Koch G28 Compact Semi-Automatic Sniper System for close-quarters fighting to replace the M110 made by Knight's Armament. Both fire the 7.62 mm round. Meanwhile, the changes SOCOM is seeking for its bolt-action sniper rifle became public earlier this month with a "sources sought" notice. The rifle's development also involves Marine snipers. SOCOM's current bolt-action rifle is made by Remington Defense, which won the $79.7 million government contract in 2013 after the initial announcement was posted in 2009. Dubbed the Precision Sniper Rifle, it included three quick-change barrels in calibers 7.62 mm NATO, .300 Winchester Magnum and .338 Lapua Magnum for various distance and power needs. Lt. Cmdr. Lara Bollinger, a SOCOM spokeswoman, said Friday that the ASR has "far more refined" requirements and performance specifications than the current PSR sniper rifle. The website states that the posting is not a solicitation or request for proposal but meant to "obtain information for planning purposes only." A light/sound suppressor that can be attached to the system when needed. A system that includes three caliber conversion kits that can fire the 7.62 mm NATO, .300 Norma Magnum and .338 Norma Magnum. Not to exceed 17 pounds or a total length, without suppressor, of 50 inches. A folding or collapsing stock. As the ASR is developed, Epperson said the Marines are "assessing the MK13 as a potential interim solution" to increase sniper teams' range and lethality.